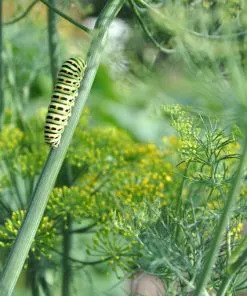 Poke Milkweed (Asclepias exaltata) for Monarchs, Swallowtails, Skippers! 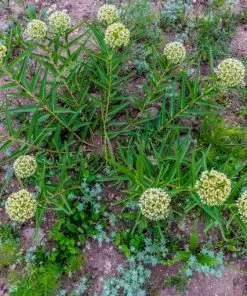 Poke or Tall Milkweed (Asclepias exaltata) is a rarity in the milkweed family. 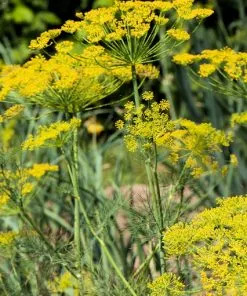 It defies its sun-loving relatives and prefers the shady areas of your garden. 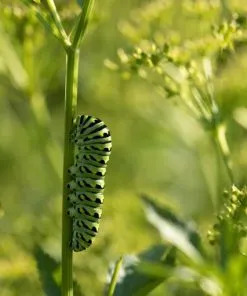 Delicate white flowers drooping on tall, green-purplish stalks attract adult egg-laying Monarchs, Great Spangled Fritillaries, Tiger Swallowtails, Skippers and Pearl Crescents. 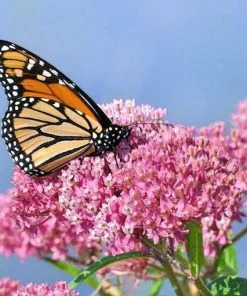 Poke Milkweed, toxic in large doses to most creatures, is an ideal host plant for Monarch caterpillars. But butterflies are not the only garden visitors that love Poke Milkweed; Bumblebees and other pollinators are especially fond of it! 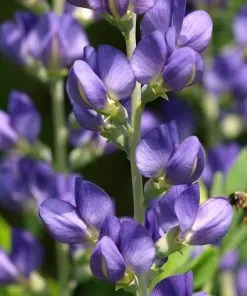 This low-maintenance, quick-growing native grows wild in most of the Eastern US and Canada, primarily in damp, shady edges of clearings, or on shorelines of ponds and other waterways. It dies back in winter and returns in spring in USDA zones 3-7. 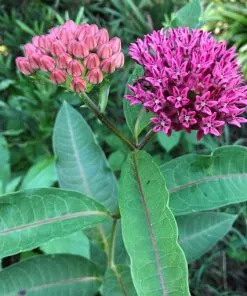 Poke Milkweed is often planted as a fast-growing annual in colder zones, where it will tolerate full sun. 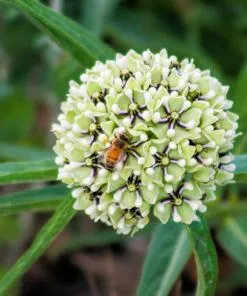 This unique milkweed prefers early morning or dappled sunlight, and moist, well-drained soil. 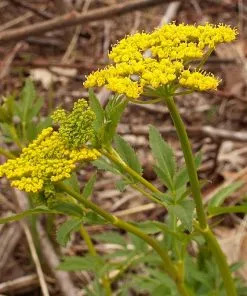 It’s common for it to reach 6 feet tall in a shady environment. 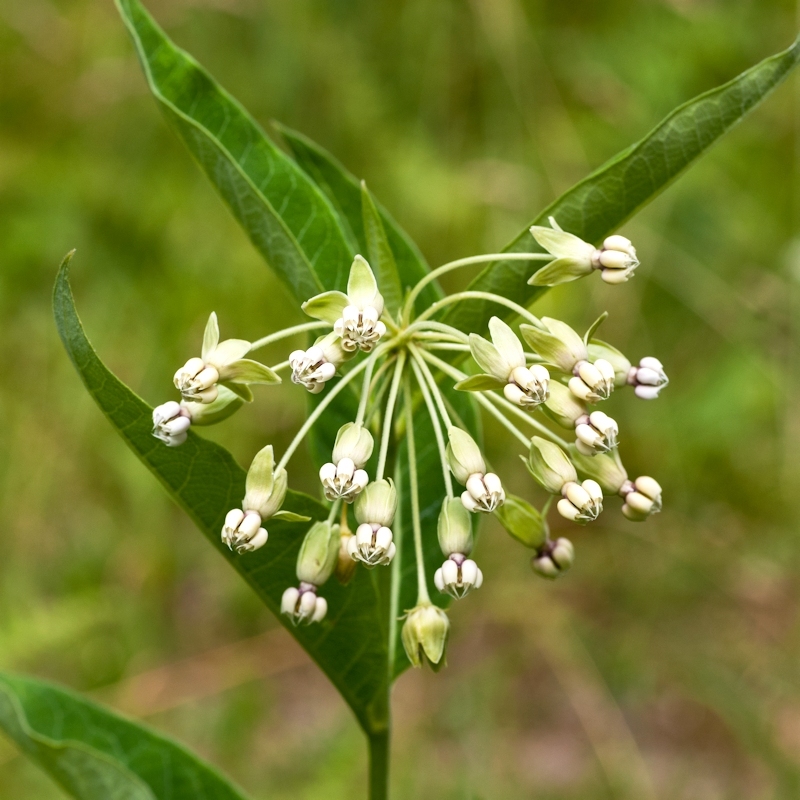 An early summer bloomer, Poke Milkweed provides nectar and fragrance for about a month; it’ll grab the attention of your resident pollinators and you. 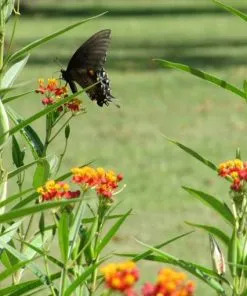 For your garden, it is best to place Poke Milkweed in back. Because it’s so tall, it can shadow plants behind it and rob them of light. 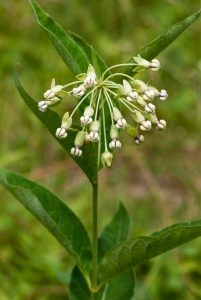 Poke Milkweed is not aggressive or invasive, but it can be long-lived. Individual Poke Milkweed plants have lived for decades under optimal growing conditions. 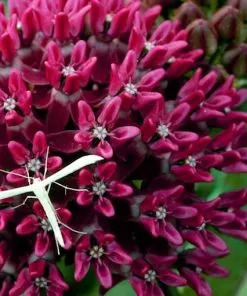 It’s often confused with Common Milkweed; the two will hybridize when grown in close proximity. Keep them separated to keep your seeds pure for future plantings. While it’s fairly deer-resistant, rabbits are guilty of eating Poke Milkweed to the ground if the new plants are not protected. 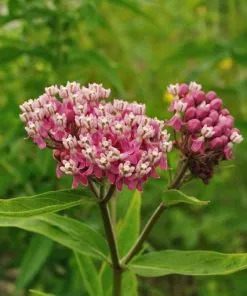 You can try to transplant Poke Milkweed as a bare root, but it is far easier to propagate by seed, due to its long taproot. 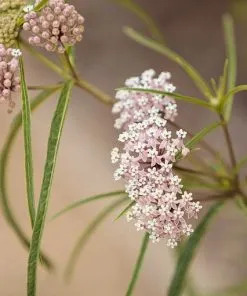 Asclepias exaltata produces slender pods of flat brown seeds attached to silky white hairs. When the pod matures, it opens and releases the seeds to be scattered by wind and animals. These seed pods are easily collected and saved for future plantings. Fun Fact: The silky hair or seed ‘floss’ is often used by hummingbirds to line their tiny nests. 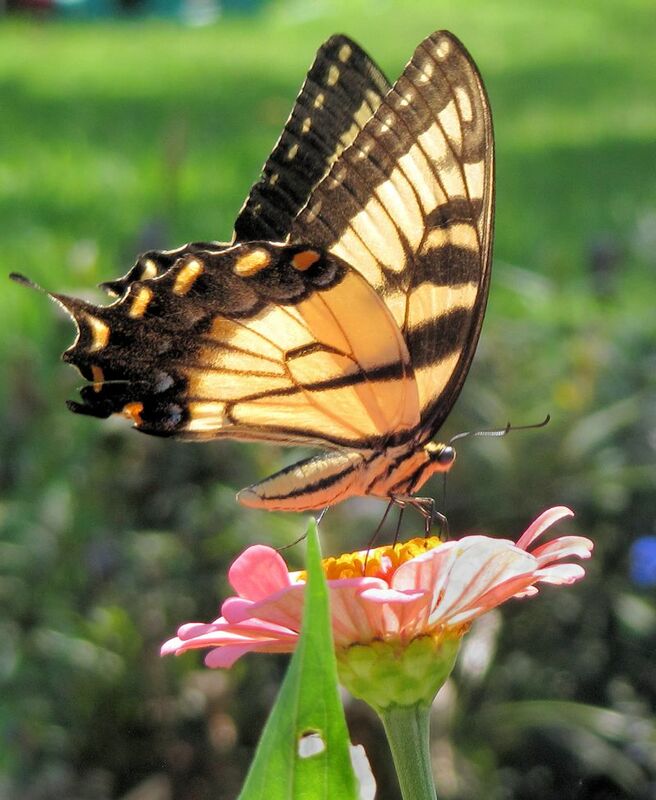 For winter planting, select a location in November with good drainage and early morning or filtered sunlight. Plant 2-3 seeds per shallow hole, about ⅛” deep and 18-36” apart. Water once. In spring, seedlings will emerge about 10-20 days after the danger of frost has passed. When they’re around 1” tall, thin seedlings to one plant per hole. Allow the soil to become nearly dry between waterings. Use a general purpose fertilizer during the summer. For spring planting, place seeds in a plastic bag or container with dampened sand (moist but not dripping wet). Mix well, seal, and stratify the seeds by placing them in your refrigerator for 4-6 weeks. Plant as above after the danger of frost has passed. You may also start growing seeds indoors after following the cold stratification period mentioned above. 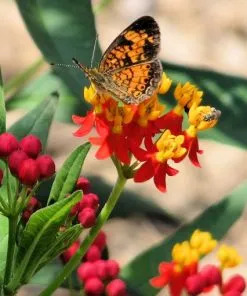 Order Asclepias exaltata to fully utilize the shady areas of your butterfly garden!